An exhaustive federal study of Canada's largest national park concludes almost every aspect of its environment is deteriorating. The 561-page report on Wood Buffalo National Park says industry, dams, climate change and natural cycles are sucking the watery lifeblood from the vast delta of northeastern Alberta's Peace and Athabasca rivers. It was prepared after concerns were raised over the park's UNESCO World Heritage status and backs most of them up. "The (Peace-Athabasca Delta) depends on recharge of its lakes and basins in order to retain its world heritage value," concludes the study released to The Canadian Press. "Currently, hydrologic recharge ... is decreasing. Without immediate intervention, this trend will likely continue and the world heritage values of the (delta) will be lost." Drawing on decades of research — the report lists 50 pages of citations — the study is likely to be the most complete assessment on the region downstream of Canada's largest energy developments and one of its biggest hydro dams. "There's literally hundreds of different studies going on with regard to the park or the oilsands or B.C. Hydro," said Don Gorber, the consultant who led the effort for Environment and Climate Change Canada. "All these things are going on independently. No one had put it all together." In the skies, "both science and (Indigenous traditional knowledge) have indicated a downward air-quality trend resulting from poorer air quality at certain times of the year," the report says. "It confirms a lot of these threats, the concerns, that are causing the challenges in the delta," she said. "It does a good job of capturing the issues in Wood Buffalo, specifically in the delta." "I don't think we have enough studies to pinpoint exactly where they come from," said Gorber. "But we do know the types of contaminants that we're measuring are probably similar to contaminants that could be coming from the oilsands." "My intention was to determine if there was a problem at the park and not to point fingers at who caused it," Gorber said. "I think everybody has some kind of effect." "There probably were periods in the past where it was good, or not so good." But the world's second-largest freshwater delta is no longer the pristine ecosystem it was even a generation ago. "Without a doubt, there's something going on," Gorber said. Meanwhile, development continues. Teck Resources has applied to build an open-pit oilsands mine 30 kilometres from the park's southern boundary. 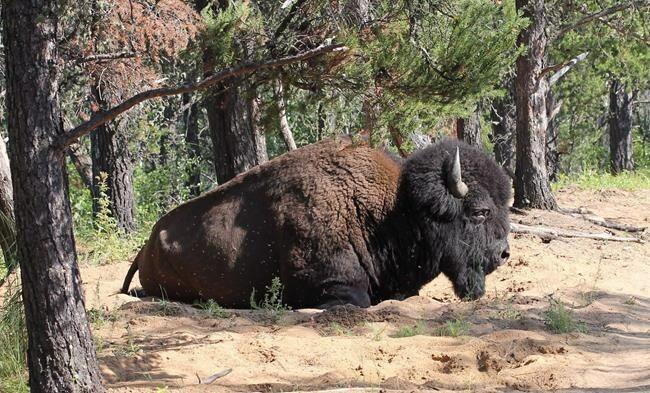 "The government of Canada is committed to the ongoing protection of Wood Buffalo National Park and World Heritage Site," said a Parks Canada spokeswoman in an email. The Mikisew Cree were heavily involved in Gorber's report, said Lepine, but not so much with the response to it. First Nations are being consulted on technical issues, but aren't at the decision-making table. "For the most part, we have been kept on the outside," she said. Lepine said policy-makers should remember a Cree phrase that Gorber quotes — "nipi tapitam." It means "water is boss."